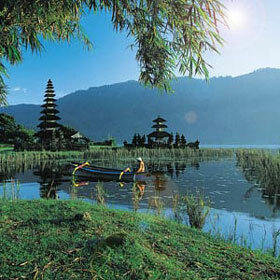 “Bali Escapes” is a Yoga and Salsa Dance retreat to be held in exotic Bali from 22-25 Jan 2010. It is jointly organized by Nancy Lim (yoga instructor previously living in KL) and Jenni Tan (dance instructor from New Star Studio KL). The retreat promises yoga on the beach, salsa, traditional food, water activities, spa, shopping, clubbing and new friends. Includes Twin-share Accomodation, Yoga and Salsa sessions. Yoga will conducted by Nancy and Monica (professional & certified yoga-pilates teacher). Salsa will be by Jenni. I was hoping to obtain some further information about the retreat and its offerings. I am hoping to come as soon as January but wanted to know if there were any voluntary or professional opportunities available.